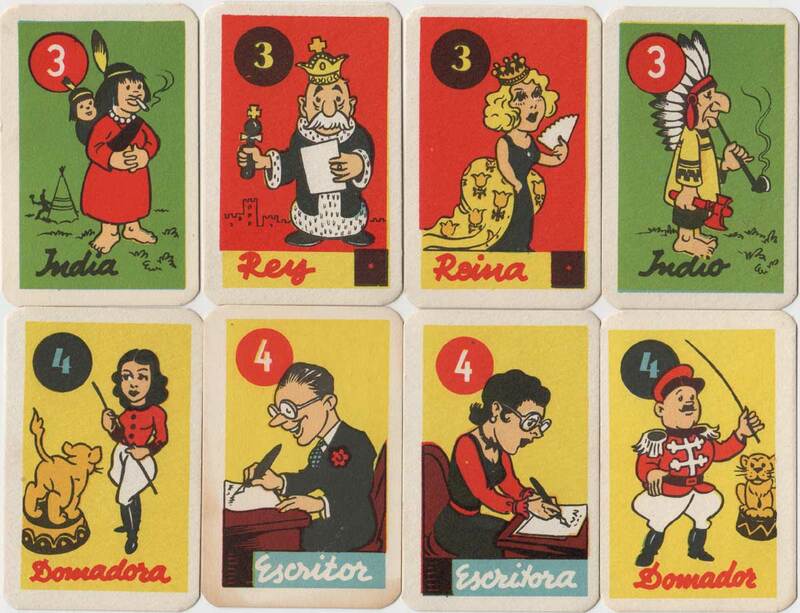 El Negrito Pedro, children’s card game, Argentina, c.1950s. 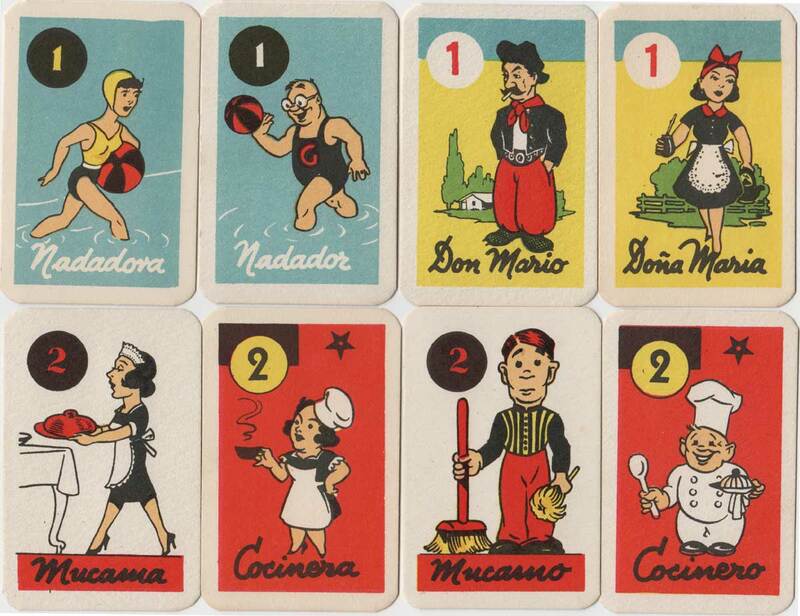 An occupation matching game, with pairs of male-female occupations plus El Negrito Pedro odd man out. Published by Juegos Mundial, no.182 in a series of instructive children’s games. 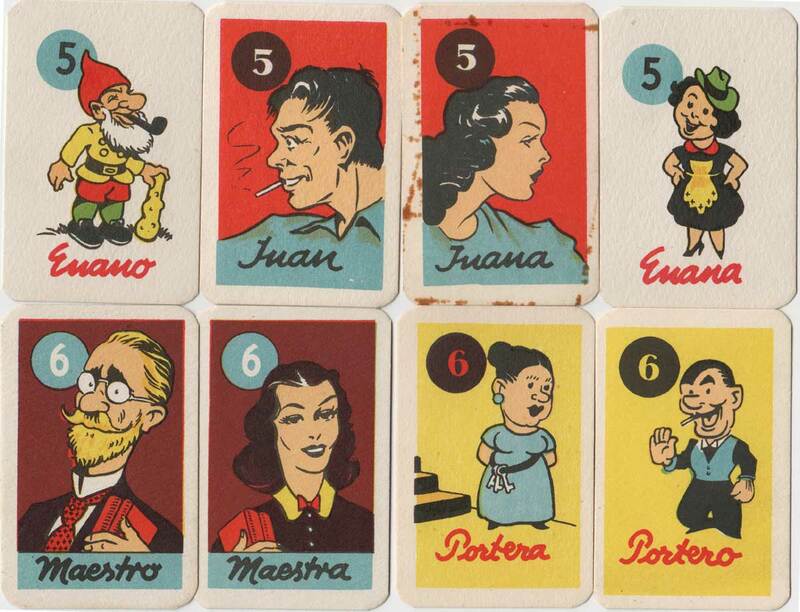 Above: 33-card children’s game with 8 sets of four cards, numbered 1 - 8, plus card number '0' titled "El Negrito Pedro" who is presumably the odd man out, as in Old Maid games, probably on account of different heritage. The back of the cards is a green geometrical design. Published by Juegos Mundial, no.182 in a series of instructive children’s games. The artist is not known. 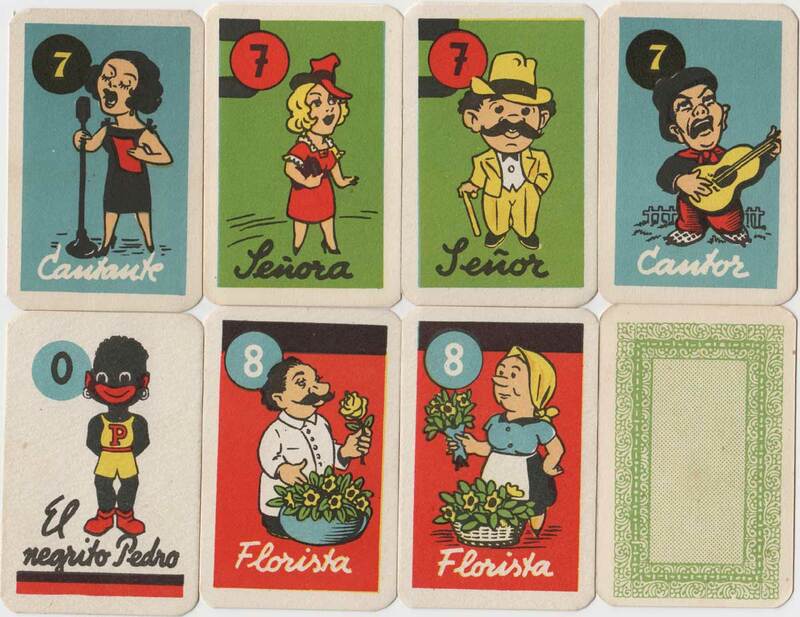 The cards titled "Doña Maria" and "Don Mario" show a maid drinking maté from a gourd, and a gaucho on his ranch, respectively, which are both typically associated with Argentina and Uruguay.